I know you guys must be thinking with hardly 20 posts down I am crazy to do a giveaway but these 20 posts have given me my first 500 views and it is a reason for me to celebrate. I want my posts to reach out and help everyone. This is going to be a very easy giveaway. The rules and prizes everything will be mentioned below. So what are you waiting for, scroll down to see what you can win!!! I was in a very pinky mood and that's why all the items I picked out have a little bit of pink in them. 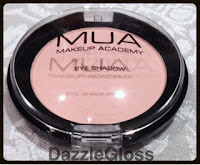 2) Makeup Academy single eyeshadow in shade 16 Matt- this is a matte light pink eyeshadow which is great to highlight the brow bone when you don't want too much shimmer or just a sheer wash of colour on your lids. I love the pigmentation of these shadows and most importantly it is Matte!!! 3) Makeup Academy lipstick in shade 4 - this bubble gum pink lipstick is a great shade for all skin tones. I love the creaminess and pigmentation of the MUA lipsticks. They are amazing. 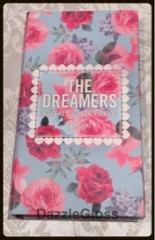 4) Sportsgirl The Dreamers Neutral Cosmetic Palette - I bought this palette during Christmas I think and I never used it because the colours in this palette are too light for me. 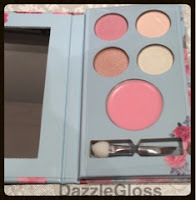 I bought this palette because I thought it looked beautiful ( just look at that gorgeous packaging) but unfortunately my skin tone is not light enough to rock these eye shadows. 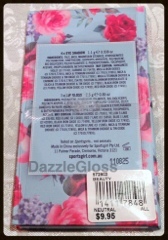 It comes with 3 shimmery and 1 matte eyeshadow, also includes 1 pink lip gloss. It comes with a dual sided lip brush and eyeshadow sponge too. A little disclaimer before I get into the rules for this giveaway - All the items were purchased by me and no one is paying me to do this giveaway. All the products sent out are sealed so you can be sure I have not tested them. 1) You must be a follower of this blog either on Bloglovin or on Google friend connect (even better, follow me on both!!). Anonymous comments will not be counted ( I will cross check). The widget is on the top right of this page. Its just a click away!! 2) Comment below why you would like to win this giveaway and which product are you most excited to try out. 3) Open for all age groups. If you are below 18 and you win, I will need a written permission from your parents stating that they approve of giving me your personal details so I can ship out the prize. 5) Once the giveaway ends the winner must get back to me by email within 3 days of announcement of results or else another winner will be chosen. 6) Only comments on this post will count as an entry. This giveaway will run for one week from today. I will select the winner randomly on random.org and announce the winner in a new blog post. All the best guys and have a safe weekend!! I want to win because i love makeup, an i'd be excited to try mua lipsticks ! please make facebook page and subscribe to email option i want to be ur regular follower. . .thanks. .
i got you link from another blog, and saw the super amazing and tempting give-aways!! i would love to have those eye shadow..
Hi great giveaway. 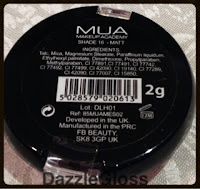 I love MUA makeup and always wanted the eyeshadow in shade 16 it looks gorgeous. 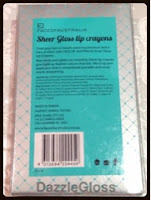 I want to win to try those lip crayons they look gorgeous. all are so pretty !!!!!!!!!!! I am from India and they are not available here so I'd love to try them out. Thank you SO much for offering such a kind and beautiful giveaway! 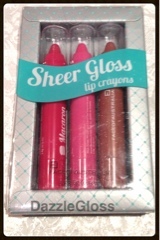 I'm most excited to try those lip crayons because I love the concept and they look like such beautiful and versatile colors! I would also really like to try the MUA lipstick because I' just starting to branch out to lipsticks instead of just gloss. Thanks again, and God Bless! !